When Aaron and I set off on our 17 day European Adventure a few summers ago, our first stop was actually the great U.S. city of Philadelphia. Thanks to a six-hour layover en route to Dublin, we had the entire day to explore Philadelphia. Here are some tips on what to see, where to eat, and how to get around Philadelphia during a short visit. 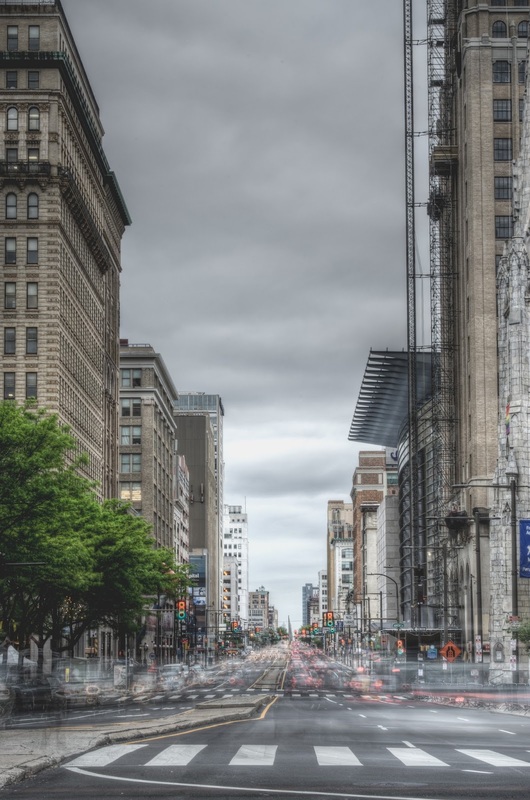 Just a few blocks from Philadelphia's historical landmarks, you'll find Old City. This area is right along the Delaware River, and it's an excellent place to stay during your visit. You'll find plenty of affordable IHG hotels near Penn's Landing and Old City, all within walking distance of numerous old churches and historic buildings. Located in the Independence National Historic Park, the iconic Liberty Bell is a stop that you simply can't miss. After going through the security checkpoint, you can walk through the exhibit for free and snap a photo with one of the most famous bells you've ever seen. 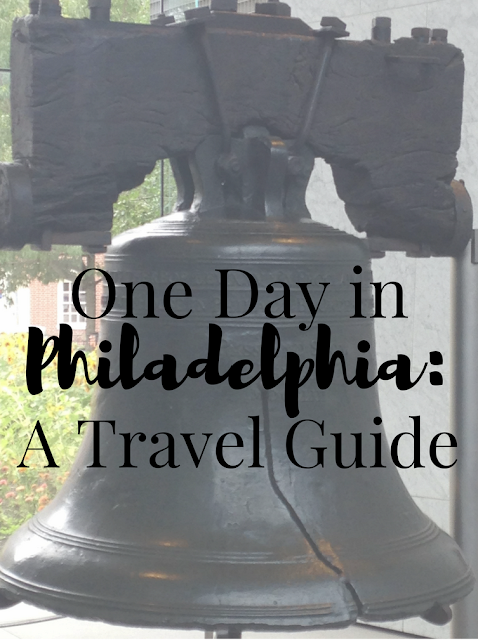 After seeing the Liberty Bell, you've got to head over to visit Independence Hall. This is the site where both the Declaration of Independence and the U.S Constitution were signed. You can visit only on a tour, and timed entry tickets are required March through December. Plan ahead by getting your tickets online in advance. If you're a fan of farmers markets or just local products in general, then be sure to stop by the Reading Terminal Market. Located on North 12th Street, this market is just to the west of Old City. Reading Terminal Market has been going strong since 1893. It also houses a variety of restaurants that you can try. You can't visit Philadelphia without eating a famous cheesesteak! Although tourists will swear by either Pat's or Geno's, many locals recommend Campo's Deli instead. The cheesesteak here doesn't disappoint. As an added bonus, the deli is located in the Old City on the easy-to-find Market Street. Vacation is a great time to indulge your sweet tooth. A few of our recommendations include stopping by Beiler's Bakery in Reading Terminal Market and grabbing ice cream from Bassett's. When you fly into the Philadelphia International Airport, you'll be within walking distance of the Southeastern Pennsylvania Transportation Authority, or SEPTA. Trains run into the city center every 30 minutes, and a day pass only costs you $12 for an individual or $29 for a family. We bought one-day passes and headed into the city in no time! All in all, Philadelphia is a fun city with plenty to explore. It's a great stop on any East Coast trip. Although you could spend more than one day there if you wanted, you'll definitely be able to hit all of the highlights in a day if you plan your time wisely. Happy travels! That looks like a lot of fun! To me honest, I am totally not interested in history at all which is horrible 1.) as an American and 2.) as a high school history teacher's wife. hahaha. But I know that this would be a trip my husband would love, and it looks like there would be other fun stuff for me as well! This is awesome! I've been to Philly a hundred times, but I've never really explored or adventured at all. I am definitely going to have to plan a trip for the spring! I love this! My sister and I are planning to do every state in the US so this is helpful for when we plan to go to Philadelphia! Did you pretend you were Nicholas Cage? Because I would have to do that. ;) Seriously, Philly looks so pretty! I want to go to the Old City! I'm from South Jersey, right outside of Philly. These are all great spots! I would actually say Jim's Steaks on South Street is the best cheesesteak! I want to go and just spend all day at the market. That sounds amazing! MY CITY!!! Old City is def a must. It's got SO many amazing restaurants. I lived in West Philly for four years...I love the whole town! Love Philly Cheesesteaks. You have made me hungry. This is one of my favorite places to visit when we lived in Maryland! We only lived 45 minutes away and loved going on a Saturday with the kids! I have always wanted to visit Philadelphia! But I never get around to it because #beaches haha but i know i will visit some day so saving! !